UPDATE: You can also install OpenCV 3.2.0 in Ubuntu 16.04LTS. The latest Long Term Support version of Ubuntu(14.04 LTS) is out and a new version of OpenCV was recently released as well. This means that now is a great opportunity to update my OpenCV installation guide to the latest versions, Ubuntu 14.04 LTS and OpenCV 2.4.9. One of the great additions in this new release of OpenCV is the new viz module, which offers a nice 3D visualizer. This module is based on the great Visualization Toolkit library (VTK) and nicely prepares the users for the upcoming OpenCV 3. Note: I have noticed some copies of my posts elsewhere, so make sure that you are reading this from the original source, at samontab dot com, accessible from here so that you don’t miss the comments. Now you have OpenCV 2.4.9 installed in your computer with 3D visualization, Python, Java, TBB, OpenGL, video, and Qt support. 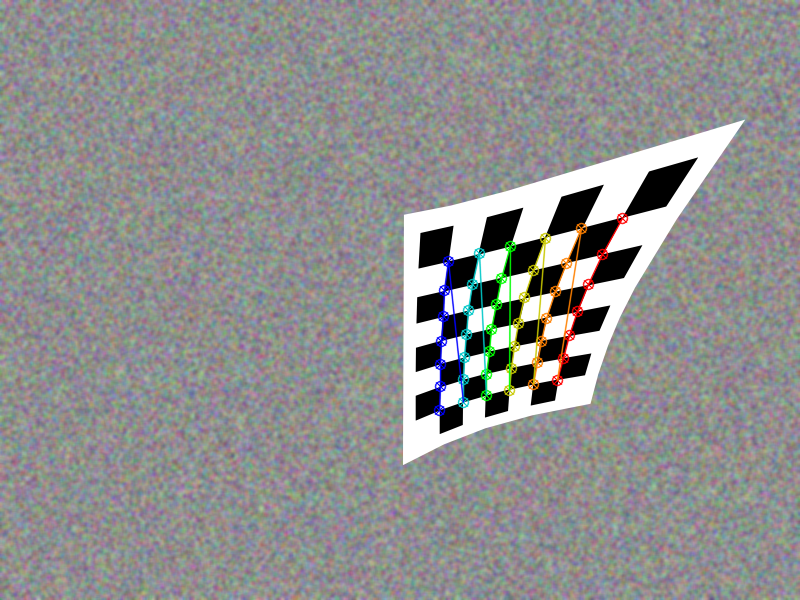 If you zoom in enough, you can see the RGB (or intensity) values for each pixel. As you can see, now you can use OpenCV with C++, C, Python, and Java. The Qt enhanced 2D interface is enabled, 3D data can be displayed using OpenGL directly, or using the new viz module. Multi threading functionality is enabled using TBB. Also, video support is enabled as well. 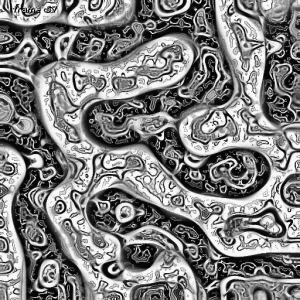 If you correctly finished this tutorial, you are now ready to do some nice computer vision work. You are welcome Jo. Great to hear that it worked for you. I was installing the OpenCV 2.4.9 in a cubieboard, with cubian (a debian fork) and with the help of your guide, it solve an issue. Thanks for letting me know that this guide can also be applied to a cubieboard. I’m having trouble with the reading a video through OpenGL and Qt. When I write the command ./OpenGL_Qt_Binding it says no such file exists. Also during build it shows support for qt and opengl and ffmpeg. What could the problem be ? You are not providing enough information to generate a helpful answer. Most probably you missed a step, or you are using a different version of Ubuntu. From what you are saying, it may be that the executable is not being created for some reason. Do the other examples work?. Did you actually log out and log in again? Just follow every single step, line by line carefully in a fresh install of Ubuntu 14.04 LTS and it should just work. Your tutorial is great. But I have a error. This appear in the terminal. 1000 blessings upon you for posting this. no clear answer on web search of that problem..
That is actually not an error, just a warning. It says that it can’t find Qt5, which is correct as it is not installed. That is fine as we are going to be using Qt4, which should be correctly installed and detected. Just ignore that message and continue, it should work as expected. It seems that you have an incomplete download, or the file is somehow truncated. Try doing everything from scratch, and make sure that your download is complete. Thank you for your great tutorial for installing Opencv. I just encountered with problem in step cmake. I did it again but before this step several kinds of python were installed. [ FAILED ] Core_globbing.accuracy . what is a problem? by the way I still have got my previous question posed in the other discussion forum in terms of one of samples using opengl. i executed all of samples after installing except this one. the output terminal says there is not opengl Qt directory in the made build. It seems that you missed the make step. There is nothing wrong with the code. The error in the test appears because testing is not completely setup. In particular, that test checks for particular files in OPENCV_TEST_DATA_PATH, but that path is not set. Nothing to worry about. Great tutorial. Unfortunately I also am having trouble when it comes to reading a video with OpenGL and Qt. This is the error I get. Is removing and re-installing the only option? I mean everything else works. It means that the file is not there. Maybe you had a compilation issue or maybe you forgot a step or two. Thanks for a speedy reply! A few people have commented on the video / OpenGL / Qt example. I also had problems, the example code seems to be missing a “make” command which builds the example and creates the file OpenGL_Qt_Binding, which can then be executed. Cheers. Really great guide. I had been unable to get OpenCV running on 14.04 until this guide. You need to make the executable first. I was missing one line in the tutorial, I just updated it. Thanks for spotting it RobM. I just updated the tutorial. Hello sam, thanks for posting this great tutorial! It seems to me that the startup scripts were not called. Maybe you forgot to logout and login, or restart the machine before continuing the tutorial. It should tell you where the OpenCV libraries are installed. If that does not work, fix it by looking at that part of the tutorial, otherwise the buildall.sh will not work. I had not installed all the VTK packages. I downloaded them and it works like a charm now. i really need your help please.. I actually did not find any issue at all. I am using the standard FFMPEG libraries from the Ubuntu repositories and it is working fine. I wouldn’t call it luck though, just documenting what I am doing and reproducing it from scratch to make sure that it works. Hi. What should I do to configure Qt project for using with opencv? Just create a makefile for your project. Once you do that, you will be able to open that file with Qt. Thank you for this elaborate guide, Sebastian! I hear that when working with Python, it is suggested to use virtual environments whenever possible. Can you, please, point out how to correctly install OpenCV in a Python virtualenv? Well, it worked, thanks for the time you spent.. keep following your site, keep new things posted………..
Is this method still working in the case of ubuntu 64bit? I created the guide using Ubuntu 14.04 LTS 64 bits, so it should work. Codeblocks is just an IDE, so it should work exactly the same as with any other library. Using this guide you will have python and OpenCV installed system wide. I haven’t installed it on a python virtual environment, so I don’t have the instructions for you, sorry. Well, you are either compiling it with other options, or in another environment or OS since it should just work. You could try adding -fPIC to the compilation line as suggested by the compiler. Thank you for the guide. I tried it and I works. I’m using Qt Creator like IDE, I can compile openCV files but the windows of OpenCV doesn’t show it. Thank you very much, finally it worked for my UBUNTU 14.04 ,However it cost me 2 days but, a nice experience. Amazing guide. Thanks a lot! Thousand likes for the great tutorial thanks for making our life easier. Thanks Sebastian. This is a great guide. I’ve created a docker image using it: https://github.com/stbutler11/docker-opencv. If you could help me It would be great. Thanks in advance. The compiler can’t find those libraries. It seems that they are all related to cuda. Check that you have enabled the cuda module in the compilation of opencv, and that the cuda libraries are correctly installed system wide, or if not, add the cuda libs path to the compiler with -L/path/to/cuda/libs in the compilation line. i try tu sample program which included in the package, but i got the above given error type. I follow all the installation steps given by you. Just wanted to say thank you! Great guide. Works perfect! It does not find the cv module. Probably you missed one of the steps of the tutorial. I don’t have access to a cuda enabled machine at the moment, so I can’t really give you an exact answer but it seems that the linker is not finding the cuda libraries. Where -L is specifying a path for the libraries that you want to use. That’s the path that the linker is not getting. That should tell you where that file is. And of course, make sure that you have the development libraries for cuda installed!. PS: What were the changes that you made to NCVPixelOperations.hpp?, maybe somebody else will need that as well. In regards what you are asking, it is usually just experience with linux in general. You get to know which libraries are needed for certain things. Also, there are a few libraries or programs that are very specific to the actual version that you are installing and that you have to research a bit to get them. For example, things like cmake or build-essential are almost always needed to build anything. Other libraries are relatively common like libjpeg-dev libtiff4-dev, which allow reading and writing jpeg and tiff image formats for example. By the way, generally the packages that end with “-dev” install the development files for that program. Also, you could try using cmake-gui which is a GUI for cmake and lists all the option the program has (if it using cmake). That way you can have an idea of what libraries it should need. And lastly, I recommend you using virtual machines as you can always create snapshots, try something, and go back in time if something went wrong, or you don’t know how to undo something you did. Thank you very much. I just follow your step, it works very well. I also set OPENNI on, which is often used with Kinect. It will be great if you can also combine this one into your post, then it is more comprehensive. god,may be you can add pcl with all of about you compile. You don’t have the required programs to compile it. Make sure that you install them first. This is done at the beginning of the tutorial. Sure, I can. Maybe in another post. You can use Qt 5 as well with OpenCV. So glad you published this. Sometimes I just want a hassle-free install, and this was truly the ticket. Glad to hear it worked for you mxer. Thanks man, you have been very helpful for along time, for varieties of opencv and ubuntu versions. It seems that the system is not finding OpenGL. Make sure that the cmake option for OpenGL is there (WITH_OPENGL=ON) and that you correctly installed all the dependencies at the beginning. 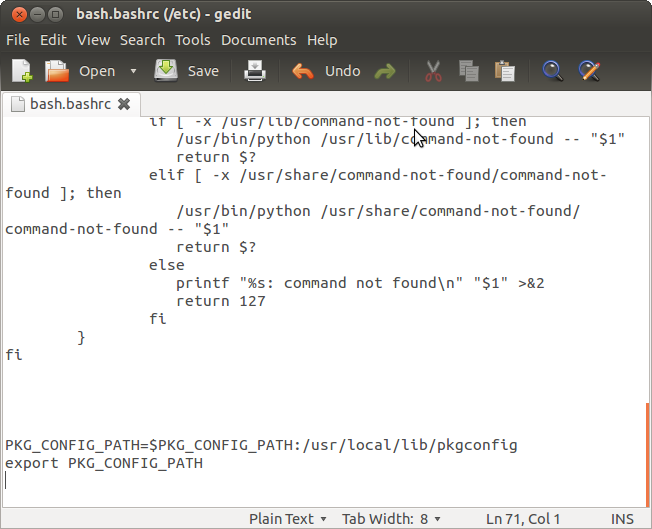 I istalled bone-ubuntu-14.04.1-console-armhf-2014-10-29-2gb.img on beaglebone board. You said that I had to install Ubuntu LTS 14.04. Then, your guide is unsuitable to me? That is a completely different environment. You can use the tutorial as a guide, but definitely it will not work just copy pasting it. Some libraries that OpenCV requires may not be there in your repositories, and so on. It seems that you did not install any library for managing windows, which is needed by HighGUI. Just re compile opencv by following this tutorial line by line, and it should work. Don’t skip any part of it. Hi.. This helped me a lot,..Thank you so much. We want to pull the data from facebook and using pulled data edit the sample video with facebook pictures and play in the browser. Sample video has placeholders which is moving . I have to track the placeholder’s position using openCV and have to replace it with facebook pictures. Is it possible to use open CV with html5 and python? If you have any tutorial for that,Please share..
hy, this is a great tutorial – many thanks. ARMANDO, do you have any ideas so far how to solve this? i tried the 2 cpp-examples and they worked fine. So am i am right, if i assume that only namedWindow-commands will not work? does this mean my opencv-installation is fine actually? dows this mean i could work with programs, which do not require windows? The best guide for beginners …. Thanks for helping beginners like me. Keep doing good work. Works with OpenCv 2.4.10 too. Just replace 2.4.9 to 2.4.10 while executing commands on terminal. Hi! I followed the tutorial and everything worked with no errors but I don’t have the java folder inside the build folder and I need it in order to work with eclipse.. Do you know why this happened? Probably you did not include Java in the cmake step. If you just copy and paste the instructions, it should work. At least using OpenCV 2.4.9 under Ubuntu 14.04 LTS. If you use any other distro or version of OpenCV, it should still work, but you should know what you are doing, and check every step. The error that you are showing here is related to a GUI. Try the suggested solution (sudo apt-get install libgtk2.0-dev pkg-config) and then re run the tutorial. It seems that the only error is GUI related, so you may use the library for the rest of the functionality. Although, I would not recommend using it because who knows what else is missing. Highgui is the module for GUI and also for I/O, so reading and writing images and video, and also reading from keyboard and mouse. I recommend you to install opencv properly first. By the way, do you need to use the latest OpenCV?, otherwise just use the included pre compiled version from the application manager! Of course you can use OpenCV for that, but OpenCV will only deal with the image processing part, you should take care of the web interface. Having said that, probably OpenCV is not the ideal candidate for that particular task. Maybe something like imagemagick would be easier to use in your case. Hi! Thanks for the tutorial. I just got a problem. Hard to tell without the exact error. You defintely did great job. You should be proud of it. I personally appreciate your work. Your guide is on point. Keep it up! 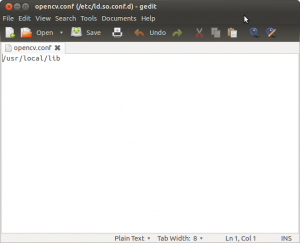 You can still use Qt 4.8 on Ubuntu 14.04. Of course Qt5 can be used as well, but there are a few projects that still depend on the older Qt 4.8. It seems that OpenGL is not being detected, or not being selected. Thank you very much for your guide, it was very helpful. I have followed the instructions of many tutoriels but none works. You guide is perfect, thank you again. You are welcome Roka. I’m glad it worked for you too. Great to hear that you are using my videos. I hope they are useful for you. About your specific issue, it seems that it is somehow related to reading an image from disk. Try using a webcam or a video file. If that also does not work, try using a different model file (I am refering to the xml that represents the object). The weath of examples provided with opencv are increadible, your guide provides the perfect jumpstart. That was so helpful and so clear. 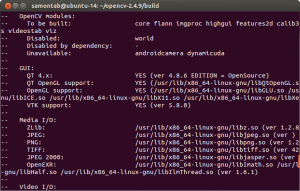 Best tutorial to install openCV in ubuntu. Thanks a lot you are amazing..
I’m try 2 again and now is success. I almost couldn’t put to work opencv on ubuntu, finally it works now, but when I look what version is working, it shows version 2.4.8., it is strange because I dont have this folder anywhere, just 2.4.9. How can I update my opencv installation, from 2.4.8 to 2.4.9, without to have problems it works again?. Maybe you were trying to install it through the repositories. Make sure that you uninstall everything related to opencv (You can open the application manager to do it with a GUI), and then restart this guide, step by step, and it should work. Plz help me out as I am not able to get solution from any where. I have explored few option but not able to get direct way to add missing modules. It is better to use them with OpenCV 3 by the way, which is also beta. This means that you have some dependencies issues. If you can, start with a freshly installed OS. If you can’t try removing the problematic packages. Please give me your paypal data so I can transfer you my life. Million thanks for this documentation, why isn’t the whole web like this? All examples in the tuturial are working for me, but when I tried to compile the rest of the examples in viz directory, following the example, they don’t work, I know I have to import vtk, but I don’t know how to do it. Can you give me a makefile, or a sentence, to compile the example: /opencv-2.4.9/samples/cpp/tutorial_code/viz/creating_widgets.cpp. And do you know how to include all necessary to run this example in QT Creator IDE? Or not this example but this: /home/paz/opencv-2.4.9/samples/cpp/Qt_sample/qt_opengl.cpp or other which uses Qt and at the same time VTK libraries. For running the examples in Qt Creator, take a look at my post about the Edison, Qt Creator, and CMake. You will learn how to use any CMake project in Qt Creator. About the other viz examples not working, you are right. 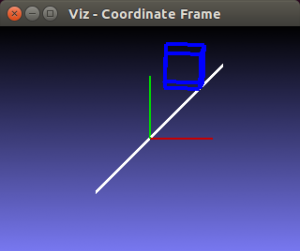 The viz module is meant to be used in OpenCV 3.0, so it is now fully supported in 2.4.9. 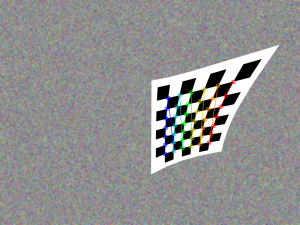 Thanks AntonisP… I assume this problem appeared in OpenCV 2.4.10, right?. I haven’t checked that solution yet though. Bug is fixed in newer version so, I updated the NCVPixelOperations.hpp file. No in OpenCV 2.4.9. I followd the procedure as you have it. Kindly help with this matter. I have little idea why this is happening. Could you please help me with this. Thanks a lot for this awesome tutorial. I have been trying to create finger detection code in python. Could you please help with the same? Hi Akash. There seems to be a problem with your permission for the Java bindings. Try disabling them, or correcting the permissions. Thanks a lot for your instructions. 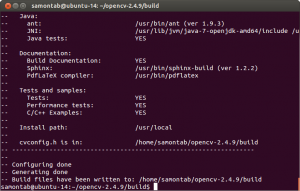 I hav been following your instructions to install OpenCV on ubuntu for almost 2.5 years now. Everytime I have an issue, I come back to your page. Thanks once again for your efforts! thanks you sir.Your guide was my only hope of getting opencv installed.it worked.my project was entirely based on opencv.so if it did’t work,i would have been in trouble. if possible i have an error in scilab.can you help to resolve it. You are welcome sandeep. Good to hear that it worked for you. can you help me resolve this.it would be of great help. I have a questin. Howi can compile and run my own programs? After installing opencv, how we can link python to opencv because i need to write the code in python.Please give the instruction to solve the above problem. If you follow the instructions on this guide, you should end up with a Python enabled installation of Opencv. Just run the included python samples! It seems that you are mixing static and shared libraries in your compilation. Make sure everything is static or everything is shared. thanks for the tutorial. It made my life easier. Do you have any similar tutorial on installing opencv 3.0 beta in ubuntu 14.04 lts (with python enabled)? Thanks in advance. Thank you very very much samontab. Is texlive-latex-extra really necessary? It is huge. That package is only necessary for building the documentation, so it is not essential. Hello and thanks for the helping tutorial samontab. I already followed your step and it done. But my project need BackgroundSubtractorGMG library. I have checked in OpenCV 2.4.9 and theres no the name of that. What must I do? for your help thank you. 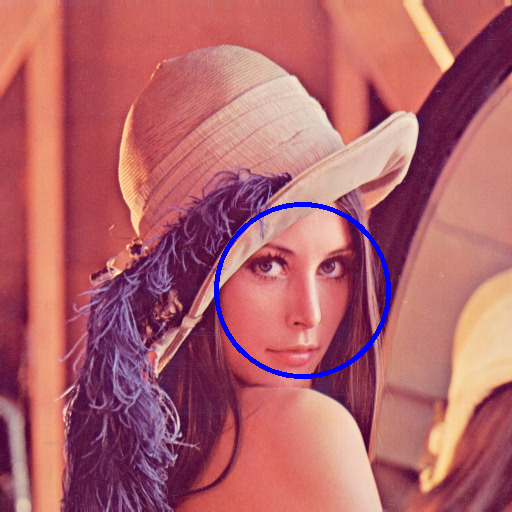 BackgroundSubtractorGMG is implemented in OpenCV 3.0. You can download and compile that version using this tutorial, but keep in mind that it is still in beta and some 2.x code will not compile with it. I have tried running ldd on /usr/lib/x86_64-linux-gnu/qt5/plugins/platforms/libqxcb.so and it looks like nothing is missing. I also tried reinstalling and a bunch of other things. Any ideas on how to fix this? Well, it seems to be related to Qt5. You could try with Qt4. If you want to use Qt5, there seems to be a lot of information on how to solve the xcb problem on other forums. I accidentally addressed you as samon – based on the website url. I apologize for the oversight. Thanks for sharing all this information again. Good to hear that Rajiv! hello samontab, I am done installing your tutorial, hey thanks! 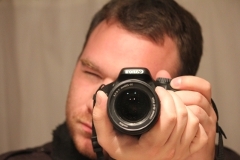 I want to ask you a question, what opencv version that have BackgroundSubtractorGMG library? because I run my code in this version it cannot run, how can I upgrade to that version? for your help thank you. That functionality is available in OpenCV 3, which will soon be released (Now it is at Release Candidate stage). You can install it following my tutorial, it should mostly be the same. thank you for the reply samontab, Ok I will search for opencv 3.x.x version. Do I need to uninstall the package of opencv 2.4.9, or I just upgrade it? sorry if I ask you a whole of question. I am still a newbie. I used opencv and python binding for my project. anyway thank you for the help samontab. 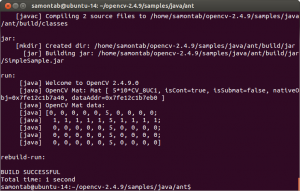 It will be better to uninstall OpenCV 2 since there may be some inconsistencies with OpenCV 3. You will need to remove all the files that got copied with sudo apt-get install, so you may want to re do that step to get a log of what happened, and remove all of those files. hello samontab, I already installed and build OpenCV 3.0 RC1. I got that opencv in the opencv.org, but when I run my code it has an error that request a module of BacgroundSubtractorGMG. What do I go wrong? is there missing? my installation work and I do to run the samples in that opencv folder, like facedetect.py and it is work. sorry if it is still not clear. Thank you for the reply samontab. I’m trying to build OpenCV v3.0.0-rc1 on Ubuntu 14.10.
your sudo apt-get command says to install: libvtk5-dev. First things first. You are using a new version of OpenCV. The change from 2.x to 3.x is a major change, therefore some includes, and other things will need to be changed accordingly. Also, you are using Ubuntu 14.10, which is neither the latest one(15.04), or a LTS. I recommend you using 14.04LTS if you are going to be working on this project seriously as some dependencies may break the compilation. About VTK, and Qt. Do you really need them?, if not, just not use them, and it will compile fine. If you do need them, then you need to choose which versions you want to use. VTK 6 is a major change again from VTK 5. There is a lot of software that still relies on VTK 5, and is not compatible out of the box with VTK 6. The same with Qt. The change from 4 to 5 is important, and many libraries or applications still use version 4. Having said that, you can still use Qt5 and VTK6 in your program. You just need to know what you are doing. 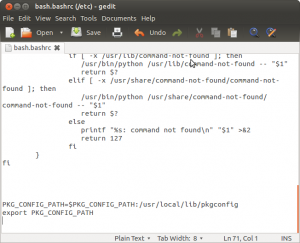 If you don’t know what you are doing, then, just copy and paste all the steps in this tutorial in a Ubuntu 14.04 LTS machine and it will work. You can even replace OpenCV 2.4.9 with the latest (2.4.11 at this time), and it should also work. Excelente tutorial muchas gracias …..!!!!!!!! Hi Annmaria, Tesseract is a good library for text detection. 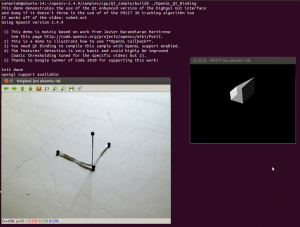 OpenCV 3 provides an interface to it. Sure Annmaria, but it would be a good idea to have only OpenCV 2 or OpenCV 3 installed system wide. You can always just build OpenCV and not install it system-wide, so you can have different versions in your system. Thanks for the post! I got through it all right but when I go ahead and try use the videoio package for capturing from my web cam, I get VIDEOIO ERROR: V4L/V4L2: VIDIOC_S_CROP. This comes up after I open a VideoCapture stream. I have installed opencv once before using your tutorial and am using it on Ubuntu 14.04 with C++ Ecllipse IDE. Thanks for your help in advance! It seems that you don’t have installed gtk. Do a sudo apt-get install libgtk2.0-dev, and re build the library. Video input can be tricky. The procedure is practically the same as this tutorial. Note that these are a separate set of modules that contain experimental and/or less tested code. SIFT is included in OpenCV 2 distribution under the non free module because it is a patented algorithm. To use nonfree components, you need to explicitly activate it (given that you have a license to use it). I have opencv with ROS and didn’t follow the above installation instructions. Can I use opencv without the ROS cv_bridge? Or do I always have to integrate it with ROS and then use it? I think akaze features are available in OpenCV 3. Yes, you can use opencv without ROS. Just follow this tutorial, or if you don’t need a specific version, just install it from the repositories! Great tutorial. Thanks. I could install and build examples and run them. But when I tried to write my sample code just to read and display an image, I get the following error message. Can you please help me with what could be the problem? i can run all your examples but now i want to run the face detect. where the program need to use the webcam. i don’t know how to run it. can you help me with the program facedetect from the samples? You could just combine an example that reads from the camera, like lkdemo.cpp, with an example that detects faces, like facedetect.cpp. This should be straightforward. First of all thank you . Ur tutorial really helped . I successfully executed above steps . Even the examples of face recognition you have given works fine on command line . it gives an error that no module ‘cv2’ exists . Please help me out here man . First of all, make sure that you followed all the steps correctly. Also, make sure that you are using python2, and not python3. After a correct installation you should have a cv2.so file here: /usr/local/lib/python2.7/dist-packages. If you still have this issue, it may be a problem with the paths. I am facing issues with running application written using Openframeworks and OpenCV. They execute well on Debian Weezy with Gnome but if I try to run the same application from a windowmanager like FluxBox I don’t get a UI (no errors appear on the console). Have you faced any similar issues. Any help is welcome, have been struggling with this issue for quite sometime now. If I do not use OpenFrameworks and use only C++ and OpenCV the apps work on FluxBox. Is it that FluxBox has issues running OpenGL apps. Thanks for your help and this great tutorial. opencv-2.4.9.zip.zip, and cannot find opencv-2.4.9.zip.ZIP, period. Try downloading the zip file again. Probably it is just corrupt or it didn’t download entirely. Based on your description it seems to be a FluxBox configuration problem. You will have more luck asking in their forums. Please do you have any C++ and Opencv code about 3D Scene Flow? If you are talking about just the Qt Creator IDE, just setup your project as a CMake(or qmake) project and open it with the IDE (Qt Creator). If you are talking about using the built-in Qt GUI in OpenCV, you need to set the correct flags and re compile OpenCV with Qt support. If you are talking about using Qt and OpenCV in your project independently, you can just link both libraries. I followed the steps however, the python examples are not working. All the others are. I have anaconda installed, and I am getting the ImportError : No module named cv error. You either missed a step, or are using different versions. Thanks for this guide! It’s really helped me! Any help here would be great..
You’re welcome Dmitriy. I’m glad it worked for you. Are you running a server version of Ubuntu?, if that’s the case, you will not have X by default. This is not an OpenCV problem, basically you are trying to display something on a server that does not have a graphical display. After you installed ubuntu-desktop, you should have an X server though. Can you log into a graphical display? Make sure that you restart the X server. Easiest way would be to just restart the machine. If it is not a local machine, you can ssh there with X forwarding. For example ssh -X username@server.com, or if you are in windows, just use xming and putty. I’ve installed the ubuntu 14.04 LTS server in an amazon cloud instance. Here the DISPLAY is not set. I set it “export DISPLAY=:0.0”, but the issue continues. I now understand that this is not a opencv issue. But any help to resolve the issue would be great. I’m now facing this issue since 3 days. – In the putty session, enabled the “X11 forwarding”. – Installed Xming and Xming-Fonts. With the above setup, i’m able to view images. It seems Ubuntu-desktop is not needed. Any suggestions here would be great. Thank you so much. Good to hear that it is working for you. Very good and helpful. Thanks a lot for the sharing! All went well, thanks very much, now i can start playing with opencv, great job Sebastian!! You’re welcome Andres. Happy new year! Hi, thank you for this tutorial! I just test this on Ubuntu 15.10 and works great. Good to know that it works in 15.10 as well. make: *** No rule to make target `/usr/lib/libz.so’, needed by `lib/libopencv_core.so.2.4.9′. Stop. vasista, it seems that you don’t have libz installed. Maybe you missed a step, or are using a different version of the OS or OpenCV. Thanks for the tutorial. Others did not work for me. Successfully installed V 3.1.0 with Python bindings. any idea how to solve??? Maybe they changed how Python bindings work in that release. Search for the correct python files and copy them accordingly. Thank you very much. I had faced so much of problems while installing opencv. The tutorial is simple and perfect. great work. gaurav@gaurav:~/opencv-3.1.0/build$ cmake -DWITH_QT=ON -DWITH_OPENGL=ON -DFORCE_VTK=ON -DWITH_TBB=ON -DWITH_GDAL=ON -DWITH_XINE=ON -DBUILD_EXAMPLES=ON ..
ICV: Failed to download ICV package: ippicv_linux_20151201.tgz. This is a binary problem of adm64 and i386, but I don’t know how to solve it, could you help me please? You need to use either 32 or 64 bits libraries, depending on your system. Easiest way to fix is to start from scratch. Code blocks is just an IDE, put the libraries and the include folders in its settings. It is failing because it can’t download the IPP files. You can just disable it, or download them manually. By the way, that’s OpenCV 3 but this is a guide for OpenCV 2. Hi. Can you please detail out the steps for installation into Ubuntu 15.10. The steps produce an error at step 2. If you need help, you should at least provide the error message. It seems that there’s a problem with ffmpeg. Maybe you are using a different version, or you skipped some steps. ImportError: No module named cv2. How can I solve this? How can I do this? I am a beginner at python. How can I search for the correct python bindings and copy them accordingly? That’s not a problem. It is just telling you that OpenGL is available to use in your application. 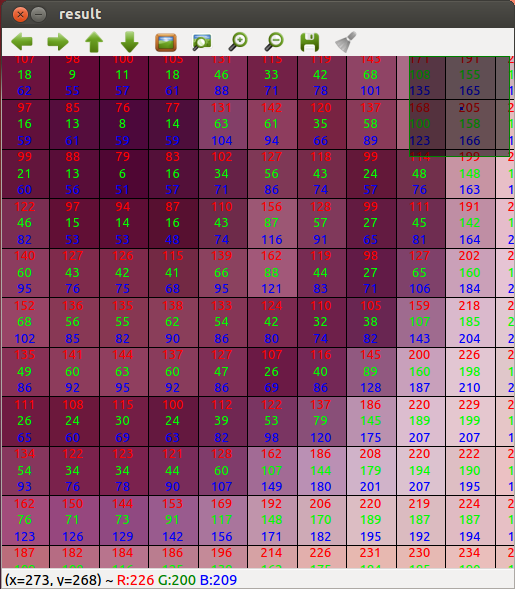 It’s part of the OpenCV log. 2016.09.05 this tutorial still work! make: *** No rule to make target ‘/usr/include/x86_64-linux-gnu/../lib/libavcodec.a’, needed by ‘lib/libopencv_videoio.so.3.1.0’. Stop. Hey Nuel, I see that you’re installing opencv 3.1. Why not the latest 3.2? or 2.4.9 which is the one covered here? Thanks a lot for the nice tutorial. It works!